Several weeks ago, early in the morning I was still deep in sleep when I heard what I thought was a "sonic boom". It was so loud that it startled me awake. 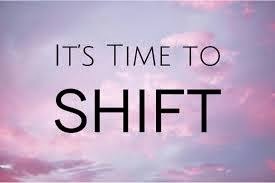 I immediately sensed in my spirit the Lord was showing me a "shift" was coming. Something is about to change. Something big is about to happen. I sense that July is going to be a whirlwind month for many. The Lord spoke to me these words "I'm doing a new thing. Watch and see and be utterly amazed". All I can say is hold on, go with the flow of the Holy Spirit and trust that He has good things coming in the days ahead. The most important thing we can do is cling to Him and His Word! "I am the Lord, all powerful. So don't depend on your own power or strength, but on My Spirit. Zechariah 4:6. Guest Blogger - Tim Truesdale would like a favor from you. Here's what he writes! As I recently sat down with my 8-year old son, I asked a probing question; “Isaac, what does it mean to be a real man?”. A very thoughtful boy, he spent a long moment considering the question, then turned his gaze into my eyes and confessed “I don’t know Dad”. That confirmed my assumption: I have to write about what it means to be a “real man”. For myself, for my 2 boys, and for anyone I can reach with this message. 2) Many men in our country face isolation and struggle with loneliness. Men in church are not exempt from loneliness, and even Pastors can feel “alone” in dealing with the burdens that walking out normal life deals us. In fact, by the time they reach the age of 40, the average American man has only 1 friend...and some have none at all. 3) There are some very gifted people ministering with Men in the church. On the other hand, there is a very large hole in in the market for materials that discuss real issues faced by real men. 4) I am asking 1000 Men and Women to take this Survey in the next 6 days. It will help you focus on the STRENGTHS of whoever played the role of Dad in your life, whether it was a Father, a Stepfather, A Close Male Relative, or even a Mother. The survey will only take 5 minutes! 5) Using the results of the Survey, I am conducting in-person interviews with insightful people and testing my assumptions about what it means to be "a real man". 6) Sometime in the next 30 days, I plan to start pre-sales on the book, called "Disconnected: Why Men Unplug, and What Can Be Done About It". I plan to have the book avaialbe for the publisher by the end of the Summer, with delivery expected before Christmas. Thank you for your participation! I sincerely appreciate it! Please help Tim out by completing the survey, if you would! It took me about 2 minutes!